Porsche is set to announce its latest Junior driver in the next few weeks after the German brand put 11 young drivers through their paces in a three-day shootout at Paul Ricard. The drivers, as well as setting consistently fast lap times, focused on working with the Porsche engineers during the process. On the 3.862-kilometre circuit, the aspirants competed against each other in identical 485 hp Porsche 911 GT3 Cup racers. 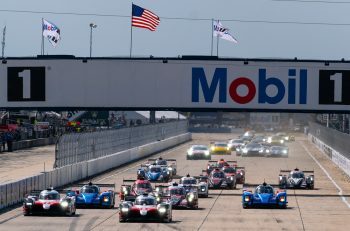 The international line-up of participants was nominated to take part in the shootout by the national Porsche one-make cup series around the world. 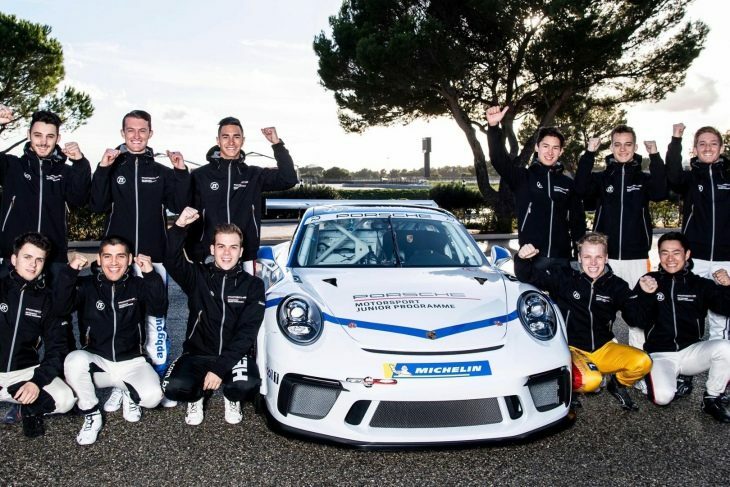 The winner, who will be announced in a few weeks, receives support as a Porsche Junior for their 2019 Porsche Mobil 1 Supercup campaign, including €225,000, as well as psychological training, a fitness regime and help with media relations. They’ll follow in the footsteps of a long line of young drivers who have come through the Porsche Junior system and on to full factory drives. Larry ten Voorde, who finished second in the Mobil 1 Super Cup rookie class and third in Carerra Cup Deutschland. Philip Hamprecht, vice-champion of Carerra Cup Asia. Yoshiaki Katayama, who finished up sixth in the Japanese Carerra Cup. 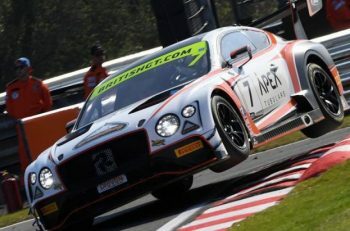 Bruno Baptista, fifth in Carerra Cup Brazil with two races to go. Ayhancan Güven, Carerra Cup France and Benelux champion. Jaxon Evans, who finished first place in Porsche Carrera Cup Australia. Dylan O’Keeffe, who finished third in Carerra Cup Australia. Lukas Sundahl, Porsche Carrera Cup Scandinavia title winner. Lewis Plato, achieved fourth in Porsche Carrera Cup Great Britain. Trenton Estep, the youngest driver in the field at just 18 years old, and is the newly crowned champion of Porsche GT3 Cup Challenge USA. “We’ve seen from the shootout that there are some very talented youngsters in our worldwide Porsche one-make cups. At Le Castellet, we simulated a complete race weekend. Moreover, all drivers underwent medical examinations and had to prove themselves in interview situations in front of the camera. “Now we’ll analyse all the data to see who has the greatest potential,” said Jennifer Biela-Moll, project manager of the Porsche Motorsport Junior Programme.